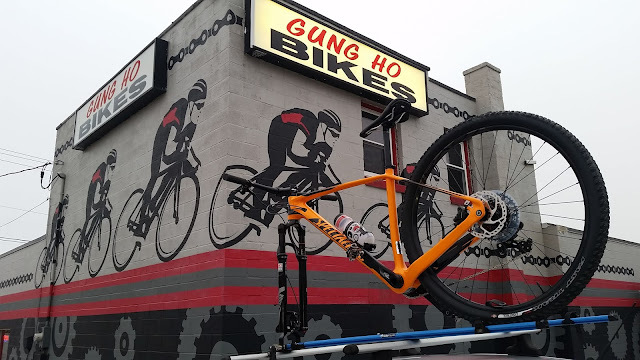 I picked up my new mountain bike at Gung Ho on Thursday evening. I had been anxiously waiting to get it for a while. I really got my money's worth out of my 2011 Stumpjumper...the bike served me well...but after five seasons of hard riding, it was time to send it off to retirement. 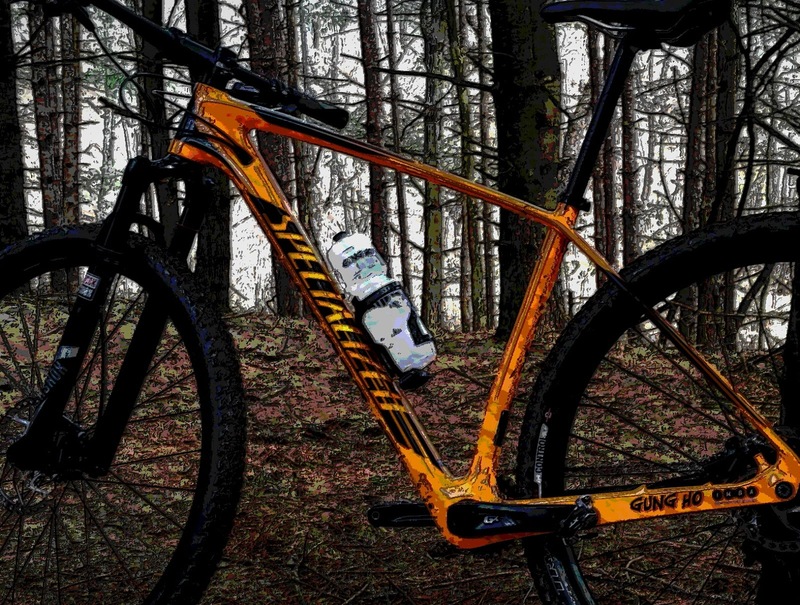 My new bike, a Specialized Stumpjumper Comp Carbon 29 World Cup , took it's maiden voyage today at Swatara Gap State Park. Mark and I headed up there this morning, figuring that after all the rain and snow the past few weeks, it would be the best place to ride. Swatara never disappoints. 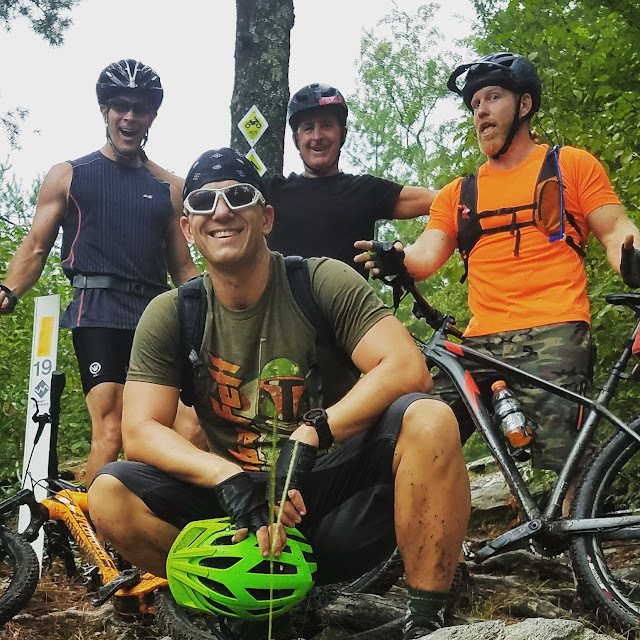 With 3,520 acres of forest and rolling hills in the middle of Swatara Valley, the park houses a series of multiple trails that loop and intertwine allowing you to turn pedals the entire ride. 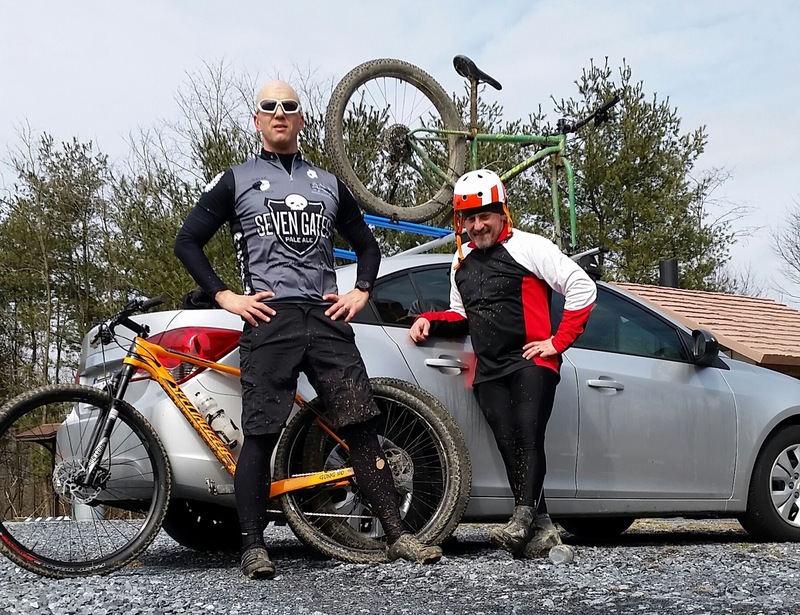 Recently, DCNR created a new trail head and parking area at Swatara...which is a significant upgrade over the previous parking area (which had no bathroom areas). Trout Run Trailhead is located exactly three miles north on Rt. 72 after getting of Interstate 81 at exit 90. You can't miss the sign. Mark and I have been riding together for ten years now. I'll admit that there have been plenty of times that I've been envious of some of the equipment and gear that he has....but today...not so much. His new helmet looks like it would be something that a U2 spy plane pilot would wear back in the 60s. I can honestly say that I'm not jealous. He loves it, though...and that's all that matters. So...with my new bike, and Mark with his green fat bike, American flag scarf, and new "helmet," we set off. We stuck to our time frame today and rode for a little more than an hour stopping only to make a seat adjustment on my new bike. When all was said and done, we covered almost twelve miles with Mark leading the way. My new bike, baptized with mud, performed flawlessly. It was only proper to celebrate with a stop at the Jonestown KOA for some ice cream and coffee on the way home.